I am currently teaching and have about 12,000.00 left on my student loans. My wife decided, after years of paralegally to go back to school to get a “court reporting” certification and become a court reporter. There is really only 1 school in Cincinnati and upon securing the loans and beginning classes, she quickly became aware that the school was being grossly mismanaged. There were alcoholic administrators and teachers failing to show up for classes or showing up but incapable of teaching the material adaquately. She (my wife) continued for aprox 2 years trying to navigate the incompetence and get out. To make a long story short, she finally had to leave with absolutely NO useful credits and about 20,000.00 in debt to boot. She has no qualifications after leaving the school and has moved into the health and fitness field (part time). Is there ANY way to file a grievance over the outstanding loans? The school was , theoretically, certified by the government on some level and yet managed to simply take our loan money and run. My wife did keep very good records of the happenings and we have continued to make our payments of the last couple of years but we have been at a loss for how to seek justice or equity with regard to this situation. Sallie Mae and The Great Lakes Corporation (another confusing issue as 2 places hold parts of the loan) don’t seem to have any answers for us. If this was a school that closed and you had a government backed student loan you might be able to get the loan discharged. 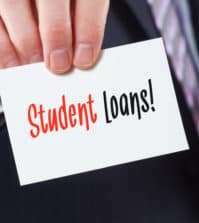 Unfortunately you have a private student loan through SallieMae which does not give borrowers the same rights or options as if this had been a Department of Education backed loan. SallieMae loans have few, if any, options in situations like this. If the school is still operating you may want to consult with a local attorney and see if there is an opportunity for you to sue the school for taking your money but failing to perform as promised. The problem here is the obligation for the loan is between you and SallieMae and the obligation to provide an education as advertised is between you and the school. SallieMae has no obligation to make sure the education provided was suitable for you. Why Are My Private Student Loans Hurting My Mother as the Cosigner?